Steven Finizio is recognized as one of the leading international arbitration lawyers in London in the Chambers UK Guide, named in the Euromoney Guide to the World's Leading Experts in Commercial Arbitration and recognized for his standing in the field of international arbitration in Legal 500, Chambers Global, Chambers Europe, Global Arbitration Review's Who's Who in International Arbitration, PLC Which Lawyer? and Legal Media Group's The Best of the Best. Mr. Finizio has been resident in the firm's London office since 2000. Mr. Finizio's practice includes international arbitration and alternative dispute resolution, general commercial litigation, and internal investigations, focusing on complex commercial and regulatory issues. Mr. Finizio also serves as an arbitrator. Mr. Finizio has particular experience with shareholder, oil and gas, telecommunications, financial services, joint venture and M&A issues. Mr. Finizio has advised clients regarding disputes under the rules of most of the well-recognized international arbitration institutions and governed by the laws of jurisdictions in Europe, Asia, Africa and the US. 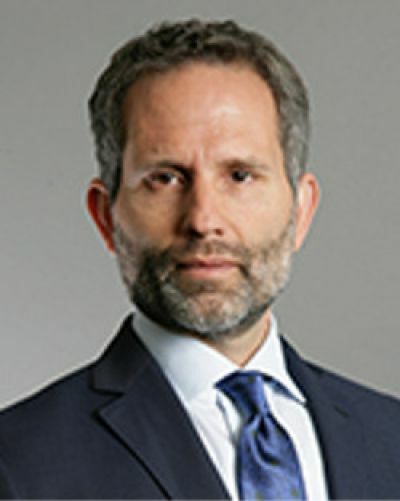 He regularly advises on the drafting of dispute resolution clauses and on jurisdictional issues and his pro bono work has included assisting a Central European government to draft new arbitration legislation. Mr. Finizio also was part of a team that argued the first freedom of expression case in the African Court on Human and People's Rights in Issa Loha Konaté v Burkina Faso, see http://www.livestream.com/afchpr. Mr. Finizio also has represented non-US clients in US litigation, and before a variety of regulatory and law enforcement agencies. He has been involved in responding to a number of government investigations on behalf of European and US companies, and has conducted internal investigations in Europe, Asia and the US.